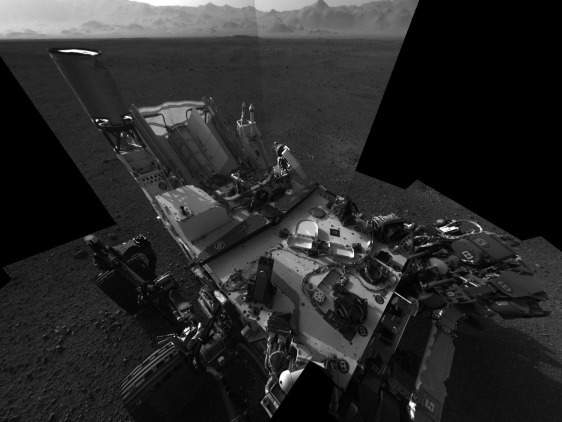 This high-resolution mosaic of 20 images is the first clear self-portrait of NASA's Mars rover Curiosity on the Red Planet. The rear of the rover is at top, with two right-side wheels on the left. The rim of Gale Crater forms the lighter-color strip of the background.